I've been given the opportunity to collaborate with a growing, unique brand named Koshie O. What I love about the brand is that it combines African aesthetics with chic and contemporary designs. 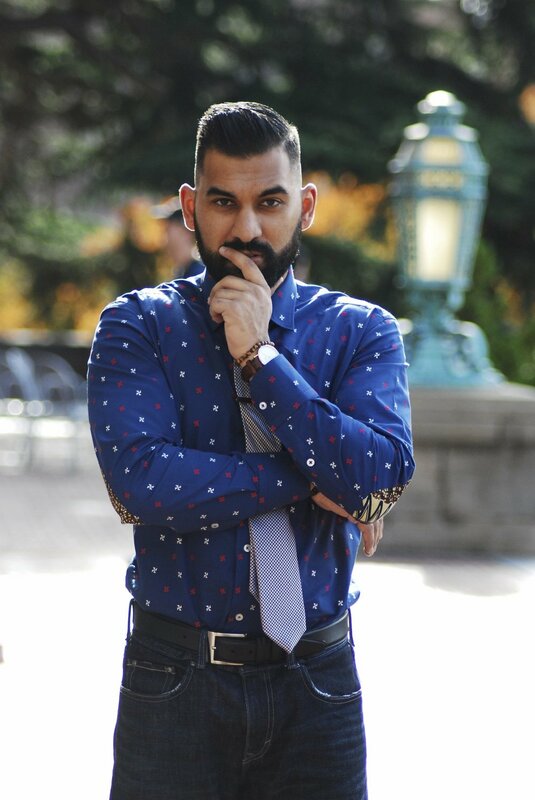 I wanted to incorporate one of the brand's dress shirts with three different styles that I find are important for men and women to recognize when choosing an outfit for date night, whether it's your first date or 100th date. 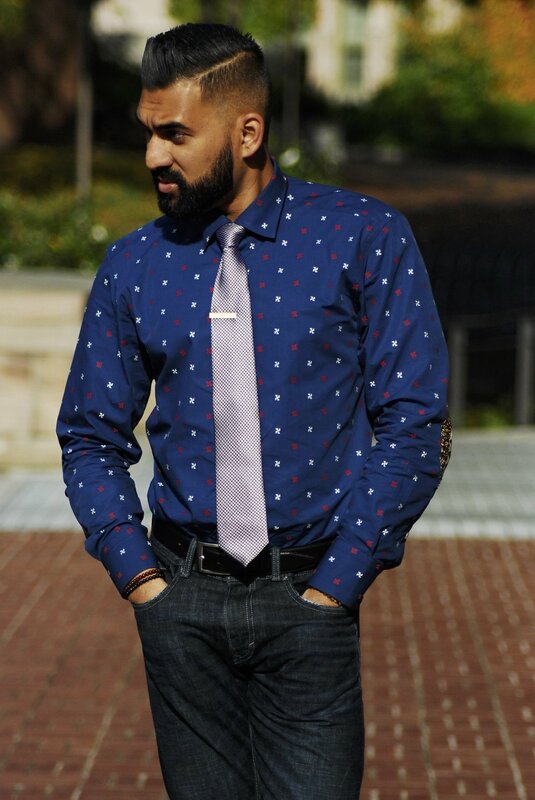 Consider wearing a shirt with a stylish pattern as displayed here by Koshie O. The shirt also includes unique elbow designs that pop out. I incorporated a subtle tie (from Countess Mara x Sprezzabox) and gold tie clip by Pocket Square Clothing to top off the outfit. Here, I made it a bit more classy by throwing on a zip-up cardigan by J. Crew. It gets chilly here in Seattle! Lastly, I made the final style very casual. 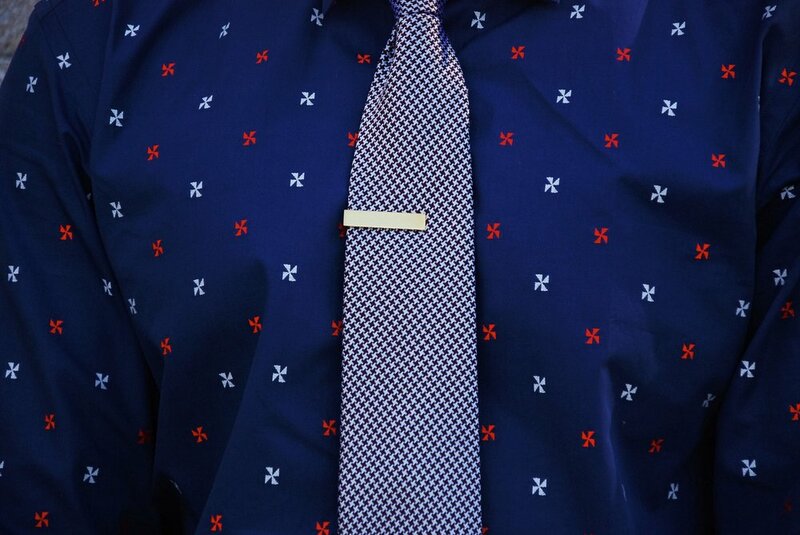 Some women appreciate the simplicity in a man's outfit. However, what stands out here is the design of the shirt. It's up to you whether you want to open a button or two. Here's a suggestion for shoes - classic dress oxfords (not limited to only black). Other styles include suede chukka boots or leather Chelsea boots. I typically love crazy-colored socks but in this scenario, I felt like being a little more classy and chose socks by Paul Evan from this month's Sprezzabox. Koshie O has a rich history and strong background in the brand. Please check them out at www.koshieo.com and @koshieo on Instagram for more style. Give them a shot - I promise you won't be disappointed. Stay tuned for more content featuring Koshie O! A big thanks to Yasmin Luqman for killing it with the photography! Be sure to give her a follow on her Instagram page @yasminluqman!